Someone stole the T in training this week! 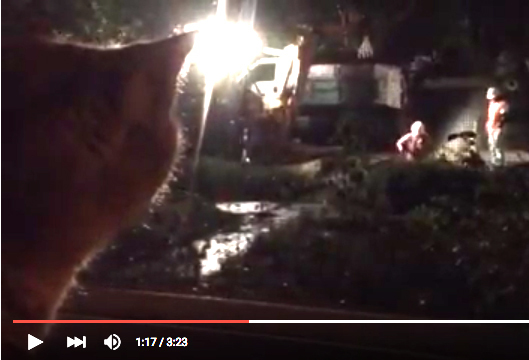 We hope you enjoy this video of Cheddar watching the noisy men fix a broken water line at night during a thunderstorm. At :33 the water spurts up! The men contain the spurt at 2:01. Cheddar’s ears express a lot. Robin spent the day working on a proposal to do research on Paws in Prison. She has to send it to the Texas Department of Criminal Justice this week. She apologizes for missing Training Tuesday this week.